Are Grants For Small Business Worth Entrepreneurs' Time? Are Grants For Small Business Worth Entrepreneurs’ Time? Grants for small business start ups are provided by the federal government of United States of America. For entrepreneurs, this may sound like an enticing way to get the funds needed for your venture start up costs. However, if you already have an easy business idea with a cool business name, you may be out of luck. Indeed, free business grants are like free money. They are non-repayable funds that are disbursed by one party like the federal government to another party like your small business. However, this does not mean that the government is simply giving away money to entrepreneur with a business idea. There is always a cost to everything, even the best debt consolidation. Free grants for small business owners are available through a few main sources. They include the Small Business Association (SBA) which operates the Small Business Investment Company (SBIC) program, the federal government which runs Grants.gov and other grant aggregation sources. You will have to research these sources to see if the grants are available for you and your business. Yes, you may not be eligible personally because certain grants are designated for women and minority business owners only. After researching a free small business grant option, you will probably find that the grant packages are highly specific in nature. Your apartment cleaning business or franchise is probably not going to be included. Many grants are purposefully created for long term investments into critical industries like small business technology, homeland security or other highly specialized industries. Unless you are in a very specialized niche, it could be hard to find a grant where you are eligible for funding. Furthermore, the application process is quite demanding and highly competitive. You could end up spending valuable weeks or months working on a grant application for business funding that does not get selected. In that case, you have just lost your most valuable asset as an entrepreneur, your time. If you are interested in just getting free money, you can try applying for grants. But, be warned, just like anything else, you will be facing competition from others. It may not be worth it if you are just looking for money to cover business entertainment expenses. If it is your first time applying for a business grant, or any grant for that matter, you might not be as competitive as the other applicants. Instead, you could spend your time growing a successful business. There are many business funding options like venture capitalists, business bank loans and alternative lending options that you can use. With a good credit score, your business could potentially get all the funding it needs within a couple days! The key is to start small and get profitable quickly. Then, you can bootstrap your business by reinvesting profits continuously. There are a select few who should definitely still be considering applying for some small business grants. These groups of people have the most grants for small business available to them. Who are these lucky individuals? Women and minorities. In almost every other aspect of life and business, minorities and women get the short stick. However when it comes to business grants, women and minorities have a whole slew of opportunities. Now, this obviously does not guarantee that you will be chosen to receive every grant you apply for, but the plethora of options available to you make it much more likely. If you are a woman or a minority, or both, you should still consider doing some research on grants for small business owners. You may wind up getting lucky. 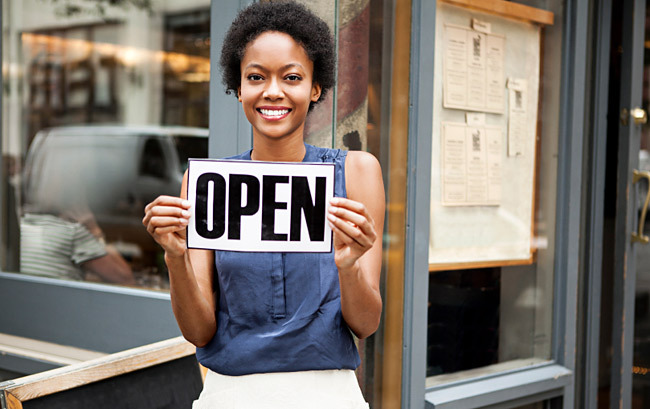 There are actually many women-owned business grants available for female entrepreneurs. That makes it much easier to find funding if you happen to have two X chromosomes. Business grants for women are offered by all different organizations and government institutions. It will take you a while to find and apply to all that are available. Despite the time it takes, it is beneficial to your ability to own a business. After all, you cannot start a business without business capital. Women entrepreneurs have a plethora of business grants available to them, which is certainly an advantage.